I think that anxiety is one of the most common non-motor symptom of Parkinson disease (PD) at the early stages of the disease. An anxiety profile that is specific to PD has not been defined. DSM diagnostic criteria of anxiety does not apply specifically to PD. Furthermore, the characteristics of PD related anxiety have not been so extensively investigated. I think that Impulsivity might be particularly frequent for patients with PD and anxiety. Anxiety could also dissociate from depression in PD patients. The Parkinson Anxiety Scale could be useful, as it has been specifically constructed for PD patients. What I find noteworthy is that patients with PD might appear at the first sight apathetic even when worries and anxiety are well present. That is a known phenomenon, as PD patients show reduced spontaneous facial or body movements (bradymimia, bradikinesia). Thus, doctors and caregivers should challenge the appearances and should actively ask for anxiety symptoms. Anxiety affects 40% of patients with Parkinson and anxiety is probably the behavioral change that has the greatest impact on the patients’ quality of life. However, it is highly probable that anxiety is underestimated in PD patients and that it is often untreated. In PD, anxiety is not simply the consequence of copying with the motor disability (even if psychological issues are important), as it is admitted that neurotransmitter changes due to the disease itself occur in those brain networks (frontal-subcortical and extended limbic lobe circuitries) which are involved in emotional and mood regulation. For PD patients (as well as for patients with Alzheimer disease) anxiety (together with depression) might precede of several years the motor symptoms of PD. On the middle and late stages of PD, when motor fluctuations (dyskinesia and OFF-periods) are important, patients experience a great anxiety in the OFF-periods. 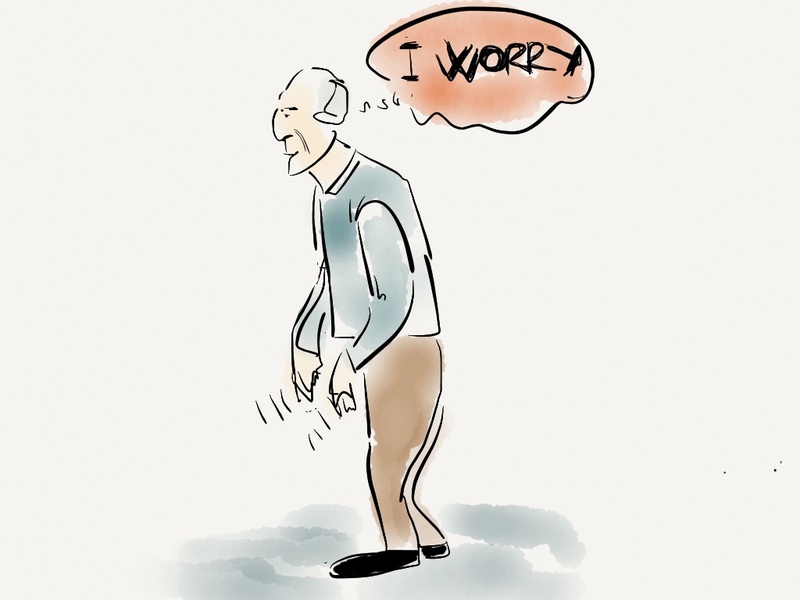 On clinical grounds, it is well known that worry is much more important in OFF phases than with dyskinesia. On the other side, it is well recognized that anxiety (and depression) can themselves worsen motor symptoms and fluctuations. The treatment of the anxiety symptoms could be more difficult when cognitive deficits and motor fluctuations are both present. Anxiety could be a behavioral equivalent of the frontal syndrome in case of cognitive impairment. Anticholinergic drugs (to treat anxiety) might have important side effects for frail elderly PD patients. The effect of deep brain stimulation remains uncertain for the symptoms of anxiety. Dopa-agonists and SSRI together with cognitive behavioral therapies and counselling can improve symptoms of anxiety. However, dopaminergic drugs could also aggravate the symptoms of anxiety and induce psychosis. Psychosocial interventions could be helpful. It would be interesting to study more extensively the effects of relaxation techniques, yoga and massages on PD related anxiety. There is an urgent need for systematic studies in the pharmacological and non-pharmacological management of anxiety in PD. Anxiety occurring with Parkinson disease is a neuropsychiatric disorder. Questa voce è stata pubblicata in Cognition and Behavior, Parkinson Disease, Psychiatry. Contrassegna il permalink.